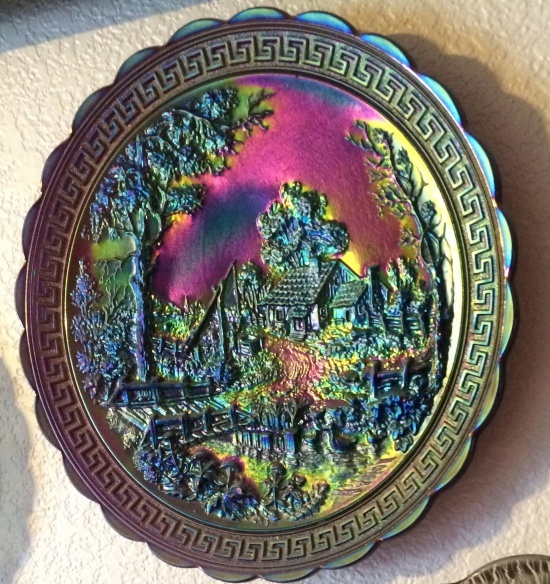 Have you closely examined the Homestead Plate? It is like a Kincaid painting: a house in the woods with a pond that invites you to fish for your dinner. Watch the ducks playing around in the stream. No other houses or people around to bother you. Where is this place? I'm ready to move! These plates really tell a story! Ready for a test? 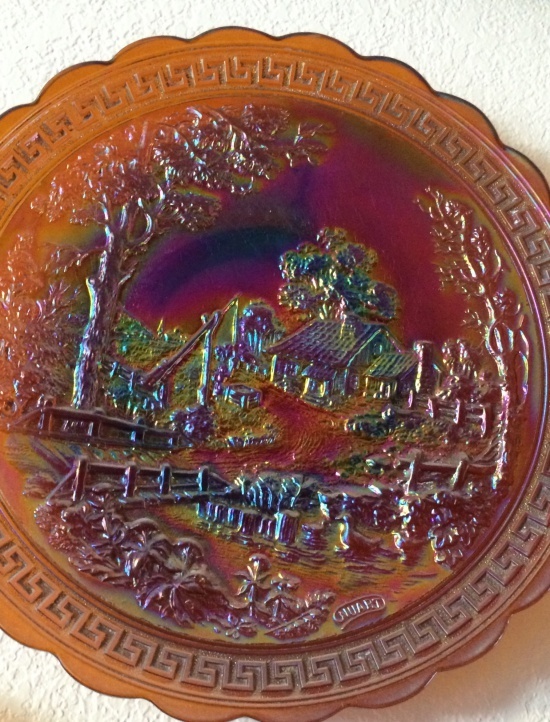 Three weeks ago, we talked about the Heavy Grape Plates, do you remember the colors Imperial gave for the Satin Iridescent Colors (stretch glass) and the Bright Iridescent Colors (carnival glass)? 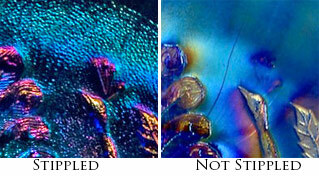 Imperial called this line of stretch glass Satin iridescent colors with crizzled satin effects such as: Iris Ice crizzled on crystal glass; Rose Ice crizzled on crystal glass (marigold); Blue Ice crizzled on crystal glass (smoke); Green Ice crizzled on green glass and Amethyst Ice crizzled on mulberry glass. The description of the colors sounds like ice cream toppings  Yummy ! 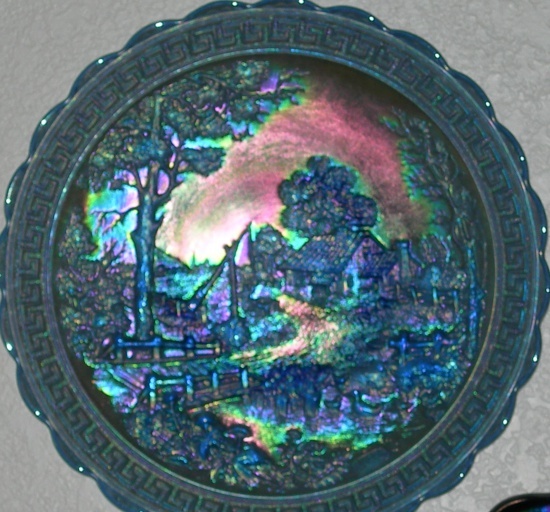 Imperials line of carnival glass is Bright iridescent colors: Peacock, Rubygold, Nuruby; Saphire, Azur, Purple Glaze and Helios. Don't the names sound very exotic? Today we call these colors: Amber, Blue, Emerald Green, Green, Helios, Purple (Amethyst), Marigold (on crystal), Smoke (on crystal), and White (crystal). 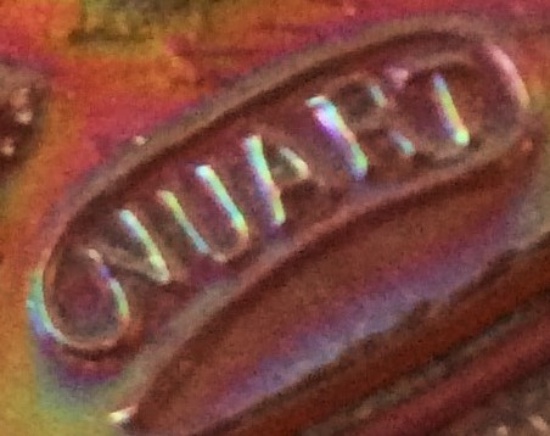 Some of the Homestead plates have, on the front lower right side, NuArt in an oval. 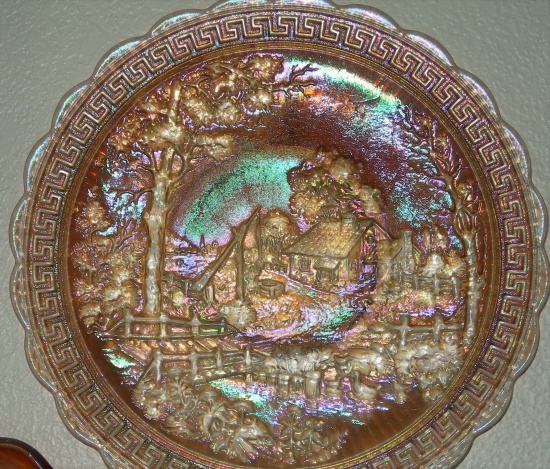 These NuArt plates are from a different line of the Homestead plates. 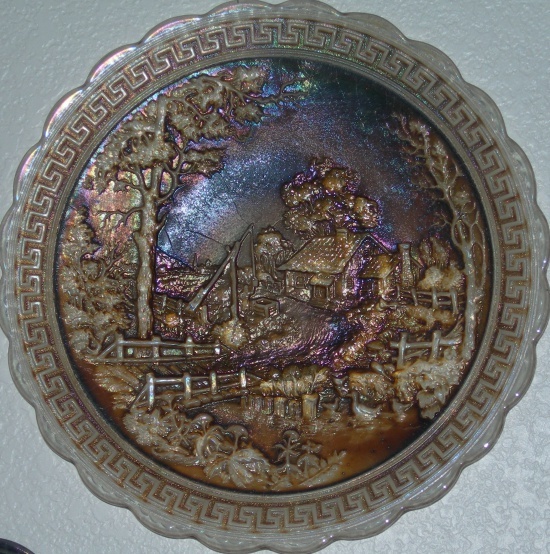 Imperial and Imperial Lenox Companies reproduced the Homestead plates in the 1970s and 1980s; most of them are marked IG or LIG with a stippled back (old plates have a faint ribbing on the back and, of course, no IG or LIG). Over the years, the IG has been called the old GI  but the reverse is true! 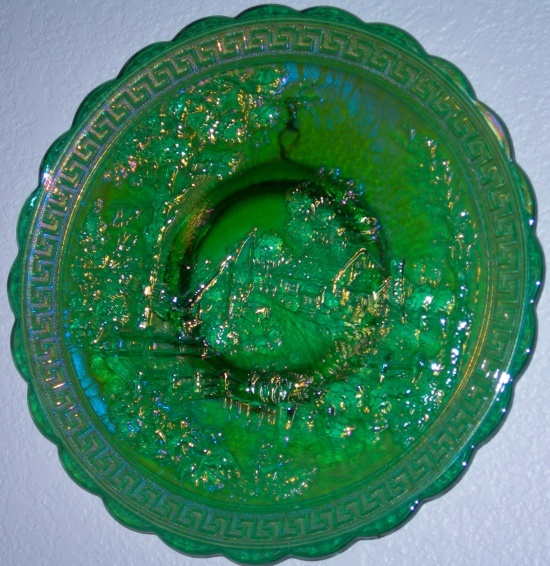 The marigold and the smoke were reproduced in the early 1970s; most of the other new pieces produced were in colors that were never made in the old glass such as marigold and smoke on opaque white glass which are very desirable (and beautiful). 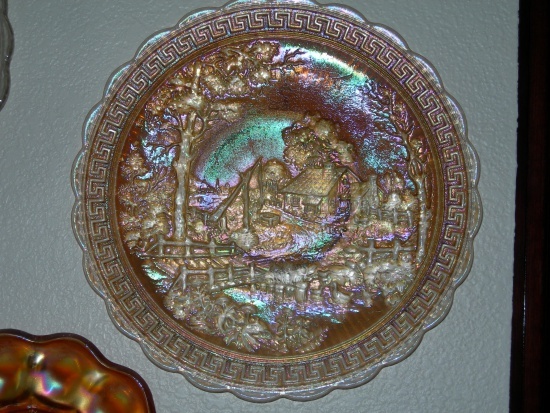 None of the Satin Iridescent Colors (stretch glass Homestead Plates) were reproduced that we know of.